Great Tastes Tuesdays! : Dutch Oven or Casserole Dish! Dutch Oven or Casserole Dish! Great meal that tastes really good!! Don't forget to enter yourself in our March Giveaway! Click Here. Brown the hamburger with the diced onion inside. Start with the refried beans and layer each item in a tortilla. Only use have of the cheese and save the enchilada sauce for the end. When each tortilla is filled place them in a sprayed casserole dish. 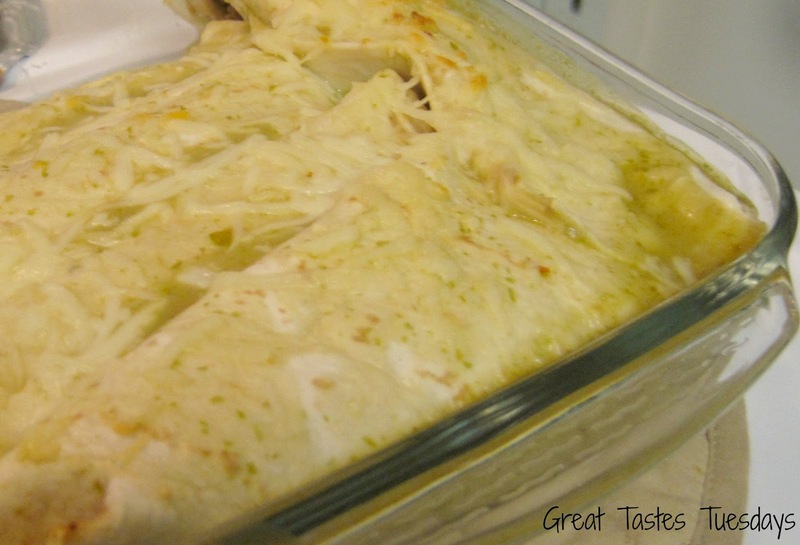 Sprinkle the remaining cheese on top and pour the enchilada sauce all over! Bake for 30 minutes on 350 in the Oven. Can be done in a dutch oven! Do this for 1-2 hours. Note* This recipe can be doubled for a larger group. For the One Who Is On the Go! It's All In the Sour Cream!!! gtt:greatastestuesdays. Simple theme. Powered by Blogger.